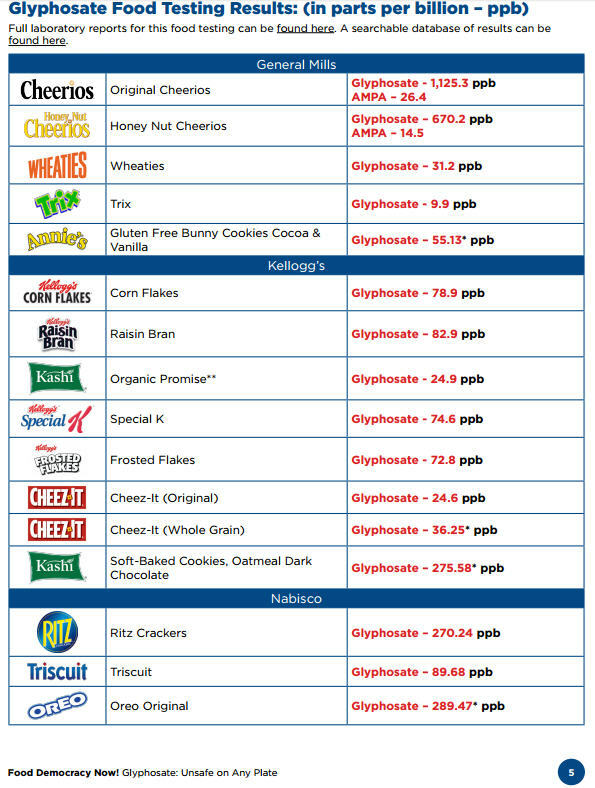 A pesticide containing weedkiller has been found “at alarming levels” in popular foods across the US including cereal and snacks. These best-sellers were reportedly found to contain higher than average traces of glyphosate – a widely used weedkiller used on commercially genetically modified (GM) crops. Dave Murphy, Executive Director of Food Democracy Now described the findings as “alarming and should be a wake-up call for any parent trying to feed their children safe, healthy and non-toxic food”. 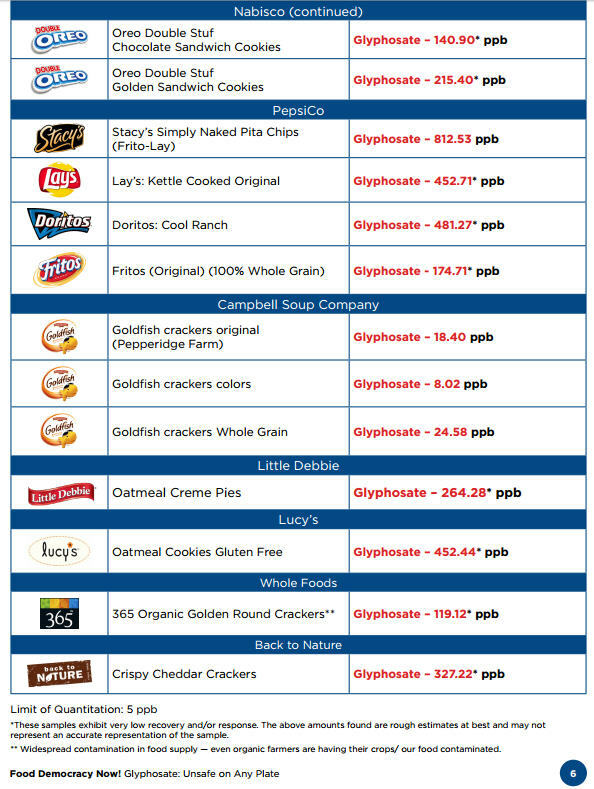 Findings: The first ever independent, FDA-registered laboratory food testing results for glyphosate residues in iconic American food brands finds alarming levels of glyphosate contamination and reveal the inadequacy of current food safety regulations relating to allowable pesticide residues.